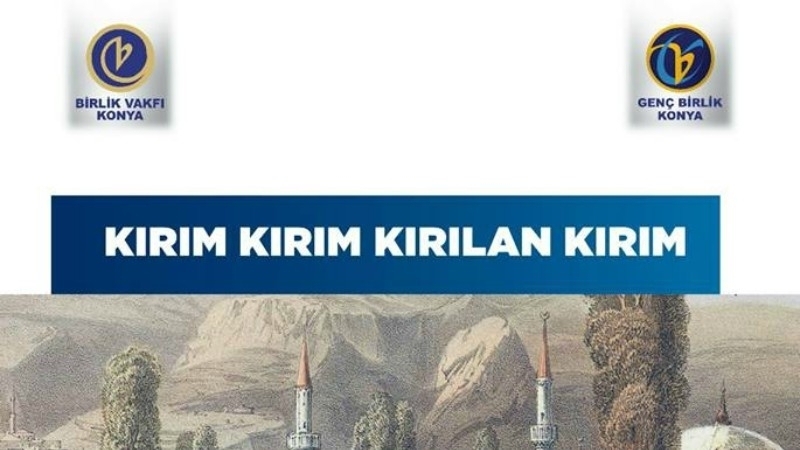 January 13, the Turkish city of Konya will host a conference called "Kırım Kırım Kırılan Kırım", ("Imperceptibly Destroyed Crimea"), dedicated to the history of the Crimea. The conference will be addressed by the Professor of the Necmettin Erbakan University Kemal Özcan and other prominent scientific figures. The conference will be held at the address: Ferhuniye district, Sultan Mesut Street, 21, in the hall of the company Birlik Vakfı. The conference starts at 15:00, the entrance is free. Earlier, Crimean Tatar Association of Culture and Mutual Aid in Turkey forwarded an appeal to international organizations and diplomatic missions of various countries in connection with the so-called restoration work in the Khan Palace in Bakhchysarai. In particular, the appeals were sent to the Organization of Islamic Cooperation (OIC), UNESCO, the Turkish Commission of UNESCO, Europa Nostra (pan-European Federation for Cultural Heritage), the Turkish Europa Nostra office, the Turkish delegation to the EU, in the embassies of Canada, Great Britain, Sweden, Norway, Finland, Lithuania, Estonia, Latvia, and Romania.